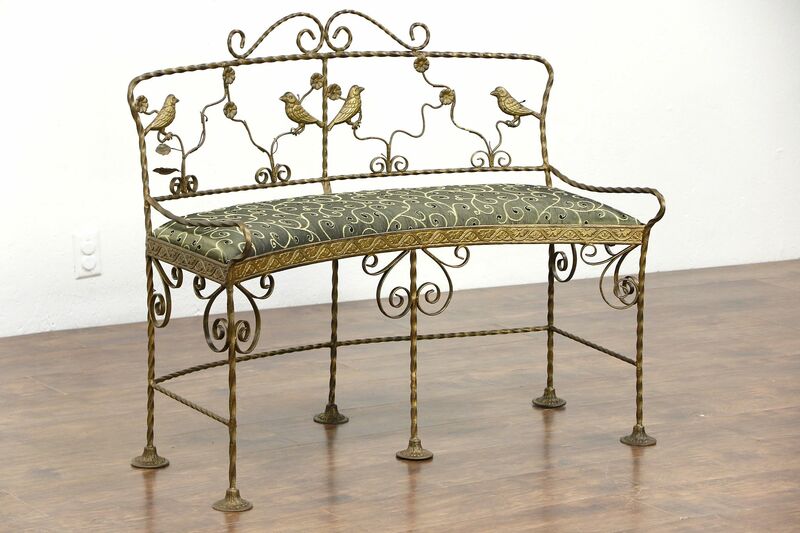 A curved wrought iron bench from about 1910 has vines with birds and a newly upholstered seat. The rugged iron frame has a charmingly worn dark bronze finish. American made antique furniture, the frame is "rope twist" iron. Size is 41" wide, 21" deep and 34" tall. The seat is 19" tall and 12" deep.